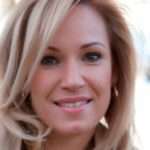 Julie McKenzie is one of Australia’s leading, loved and respected Psychic Mediums. 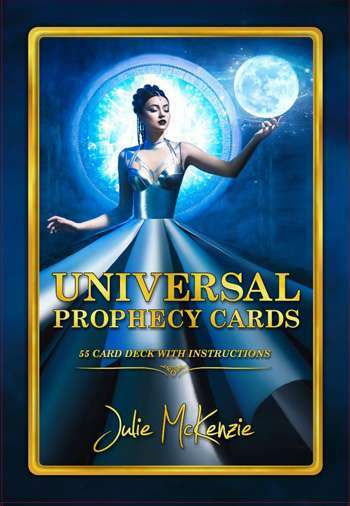 She is the author of the Universal Prophecy Cards and The Universal Book of Life – Encyclopedia of Spirituality & Beyond! Julie has helped many people all over the world by bringing comfort to their life through the healing that comes with clarity and understanding of their connection to the spirit world. Julie’s inspiration motivates people, empowering them to live their life and embrace the spirit within. As an award winning psychic medium, Julie McKenzie was named 2011 Psychic of the Year for Queensland and was among the top 10 psychics in Australia to be selected to appear as contestants on Channel Seven’s prime time television series, The One – The Search for Australia’s Most Gifted Psychic. More recently, however, Julie McKenzie was crowned the OFFICIAL WINNER of BITVA EXTRASENSOV in 2014; aka The International Psychic Challenge, Season 14 – STB Channel (2014 – filmed entirely in the UKRAINE). Julie lived in the Ukraine for the six months it took to film the season, where she proudly represented Australia in this very popular television show which attracted over 6 million viewers per week in Ukraine alone. Streamed into other countries including Europe, Russia, Bulgaria and American on the Russian Channel, Julie was pitched against some of the best Psychics from America, England, France, Ireland, Germany, Poland, Slovenia, Russia and, of course, the Ukraine. Julie showcased her natural abilities as she displayed integrity, strength and her evident connection as a World Renowned Psychic Medium, and as a result – she WON! Julie has also been featured and interviewed in various magazines, newspapers and radio throughout Australia and overseas.